At the end of last year, Pacific Sun teased us all with a few screenshots of their latest software interface for their powerful Hyperion R2 LED fixture. 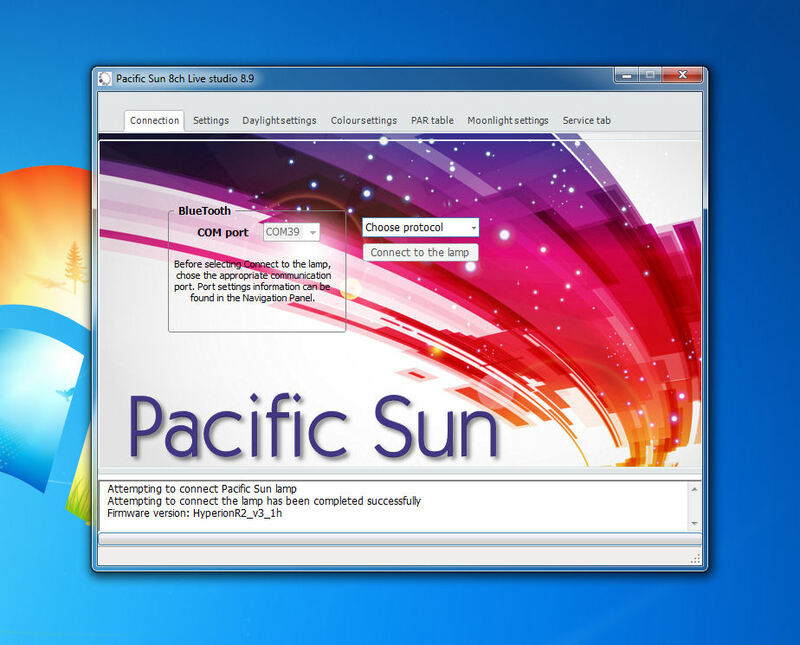 At the end of last week, Pacific Sun announced that a beta version of that same software was finally available for download. From the looks of it, the software seems relatively unchanged from those first screenshots aesthetically , but functionally, the new software has some serious new features. Besides shuffling a few things around for easier use, a couple of new programs have been implemented that are not only useful, but ingenious. Besides having an elaborate moon cycle program and the ability to control 8 independent colors, the Hyperion software has two very useful programs built right in. The first program is called the Accli-program, and it is a great transition software for adding a new light to the tank. 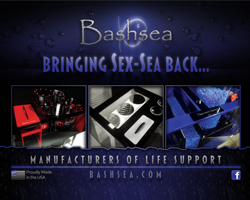 It is designed for existing aquariums that house delicate corals and runs the LEDs in such a way that the corals will not burn, a very common issue with new lights and replacing bulbs in older fixtures. To use the acclimation program, users can select a configuration that is similar to what they already use (such as T5HO or metal halides) and tailor it to the type of corals in the tank. Once the program is set, the light will automatically adjust the initial color temperature of the light and the time in which the temperature and power will be gradually increased. This process will continue automatically, and once finished, a message will be displayed indicating so. 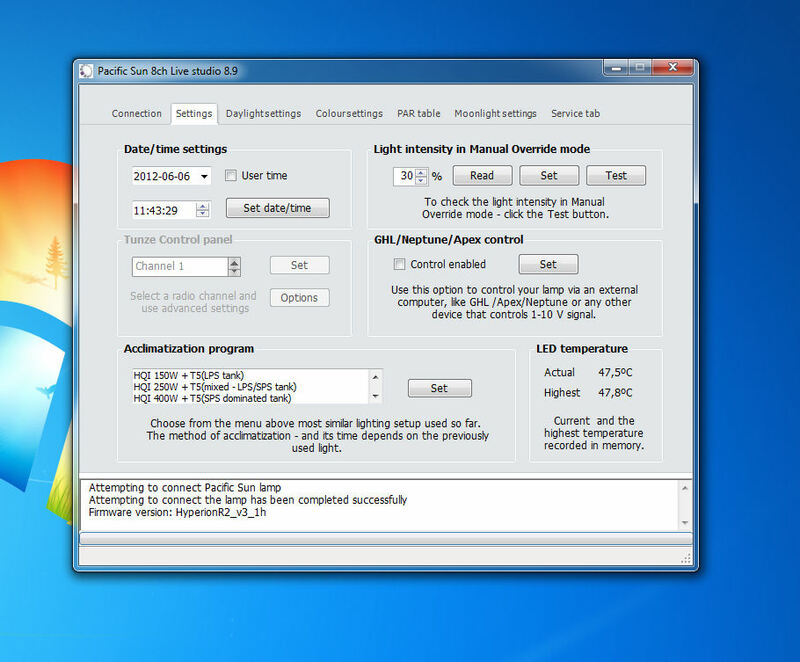 The second built-in program, called the Bali PAR program, is designed to automatically mimic the natural lighting conditions surrounding Bali. The program is based on more than 160 light measurements taken close to coral farms in the area during autumn months, and it allows the Hyperion to provide the most intense suitable light for corals. According to Pacific Sun, this program should intensify coral color and enhance growth, and different schemes like cloudy days, rainy days, extra sunny days, and different sunrise/sunset options will be available in the official release of the software. The Bali PAR program, in its current form, lasts over 12 hours and can be both started ans stopped with a single push of a button. 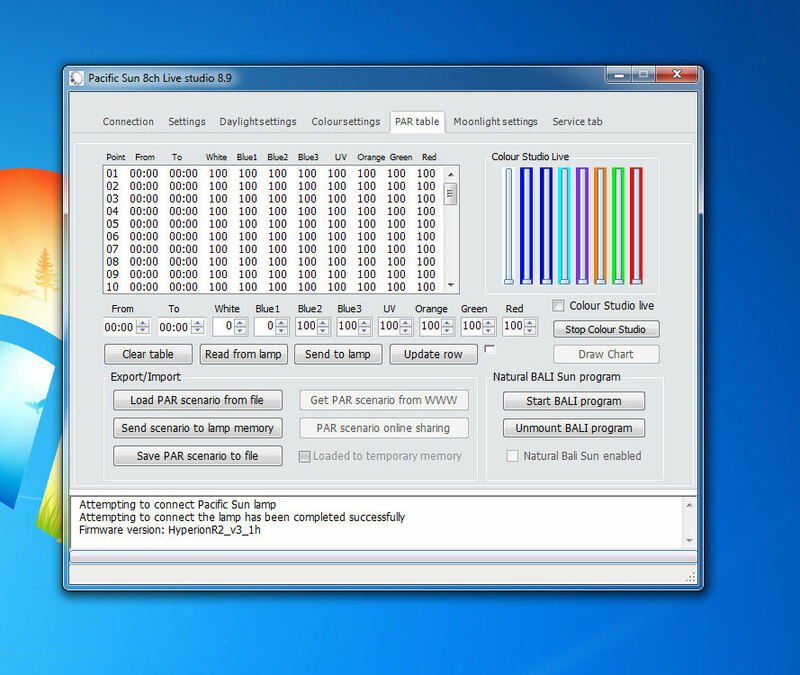 Once initiated, the application will load into the flash memory foe each color channel, causing the lamps to automatically adjust. Because the Bali PAR program is such an elaborate program, it cannot be used with other settings and programs for the lamp. Despite already being so elaborate in function, Pacific Sun promises that in the coming weeks, they will publish different PAR scenarios aimed at speeding up coral growth, improving coral color, and simulating different seasons. The Pacific Sun application is currently only available for Windows powered computer, which isn’t so great for Mac users, but it’s completely free and also comes with a firmware upgrade for the Hyperion itself.